Sony is in the process of developing a new audio format geared towards recreating live concert experiences and taking a giant innovative leap for music lovers. This latest development from Sony is already being dubbed as the ‘future of music’. Sony’s audio format will give listeners a feeling like they are enjoying a live concert. The new Sony 360 Reality Audio format utilises spatial object-based audio technology to project separate parts of a musical track to users from several angles. Musical elements such as vocals, drums, guitars or bass, are all projected from different angles, to create the live concert feeling. Listeners get an immersive multi-directional sound experience, beyond the limitations of the conventional right ear/left ear paradigm. The experience is similar for users with headphones. Sony exhibited the 360 Reality Audio format at the recently held Consumer Electronics Show (CES). 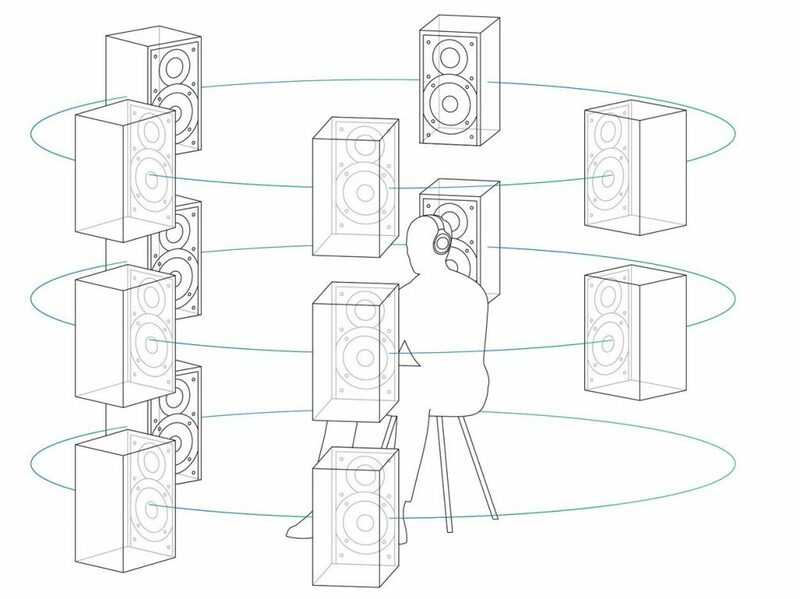 For illustration purposes, listeners participating at the event were instructed to sit at the centre of a small enclosure of speakers, each of which highlighted separate sounds and instrumentations of the songs being played. A small-sized microphone was also inserted into the ear of listeners, for gauging their eardrums and setting up headphones using the measured data. The songs previously played through the speakers was projected through headphones. Listeners were able to enjoy a similar experience with both the speakers and headphones. Participating listeners at the 360 Reality Audio format exhibition felt as if music was being played from different sections of the room. It was a stark contrast from conventional stereo music tracks. The Sony development, however, is not the very first such instance of object-oriented immersive audio technology. Dolby Laboratories, the globally renowned audio engineering stalwart, has also developed a format that facilitates 360-degree listening with the help of several speakers. Dolby has made this particular technology available to consumer electronics makers. Yet, the currently under development Sony audio technology is a standout experience of immersive technology-powered sound. Sony has also remarked regarding its vision to deliver a new audio format centred around MPEG-H 3D Audio. It is a development geared helping music artists enjoy form immersive audio experiences for their followers. Musicians will be able to map individual elements like vocals, guitars, drums and chorus by utilising positional angle and distance information. The new immersive format from Sony can be used to remastered existing pieces of music. Based on the CES exhibition experience, the inside size of the ears of users need to be gauged to offer optimal experiences. To facilitate the development, Sony is creating an application which enables listeners to click ear photographs with their phones. The app will help to measure user-specific hearing features, to deliver appropriate signal processing. Sony has revealed news regarding its search for suitable audio devices for seamless functioning with its new form of content. The company is set to focus on developing the technology for its wireless speakers and headphones, for bringing its 360-degree audio vision to life. Early 2019 is the estimated release period for such developments.